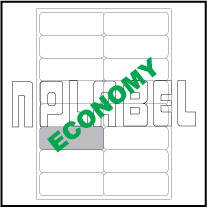 Economic Multipurpose Labels for inkjet and Laser Printers. Sheet Size 297 x 210mm, A4 Sheet Without Die Cutting. Economy Quantity avaiiable in nos of Sheets packing. Economy Quality for Laser / Inkjet printers. 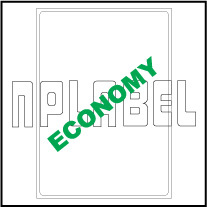 Label Size 202 x 289mm, 1 Label per A4 Sheet. Economy Quantity avaiiable in nos of Sheets packing. 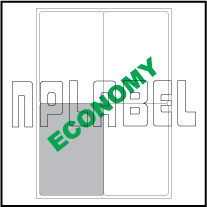 Label Size 99 x 138mm, 4 Label per A4 Sheet. Economy Quantity avaiiable in nos of Sheets packing. Label Size 99 x 34mm, 16 Label per A4 Sheet. Economy Quantity avaiiable in nos of Sheets packing. 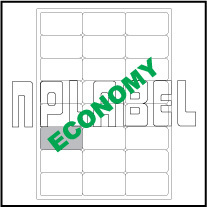 Label Size 64 x 34mm, 24 Label per A4 Sheet. Economy Quantity avaiiable in nos of Sheets packing. 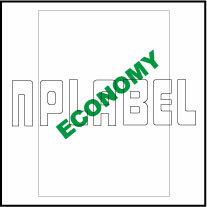 Label Size 46 x 11mm, 84 Label per A4 Sheet. 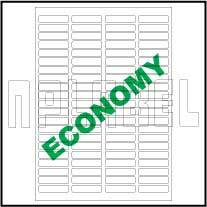 Economy Quantity avaiiable in nos of Sheets packing.